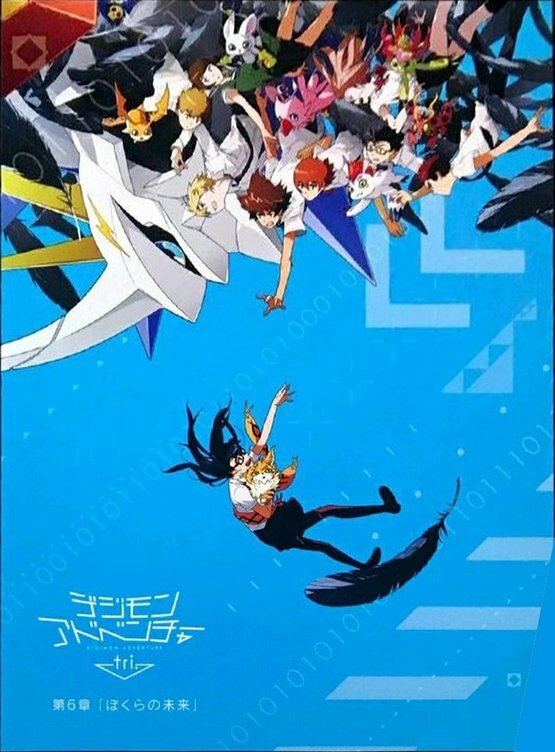 We have the title for Digimon Adventure tri. Part 6, the final part of tri.! Information is minimal at the moment, and there is no poster image yet. The information we have says Summer 2018, with various reports clarifying that the end card in Japanese theaters specifically said 'Early' Summer 2018. Update- Toei has confirmed the title, along with confirming there 'is' a poster image for Part 6 during screenings. Thanks to Victor and his friend Kevin we do have 'some' of the poster details- It's sky blue and has Meiko. Thanks to yulkyun and Otaku News for the heads up and tyhbjbj for the photo. Thanks to multiple people for the heads up on the initial news. 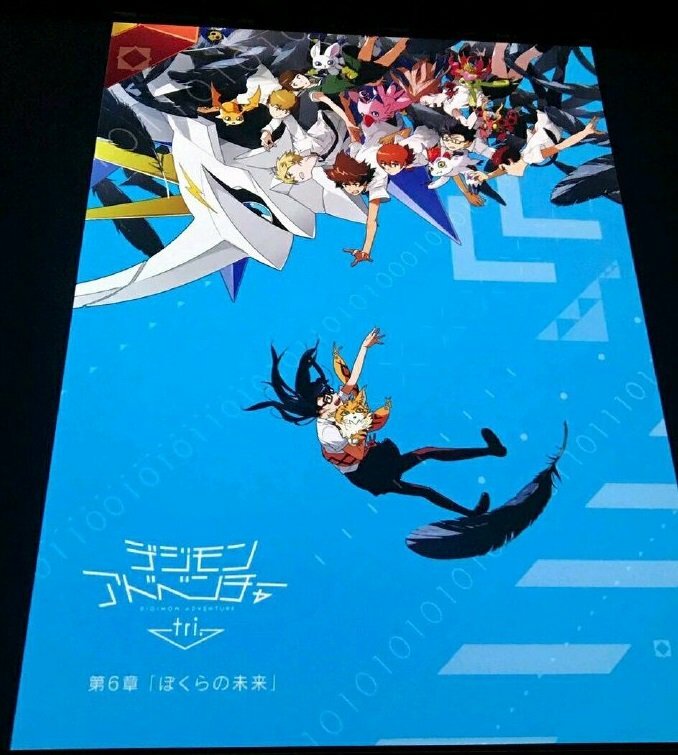 Wow, with a title like that, I can't wait for them to have tri. to end on the same epilogue as 02 and disappoint me all over again. "Bokura no Mirai"? I expected it to be a title with 2 Kanji. I'm curious about the rumors of the posters. I'm very expectating about a hint for Part 6. Oh damn, im very curious to find out news about next and finale OVA... Hope they are good news though. The title is interesting to me in that while it's a 'concept' like the tri. titles have been, it also feels a bit more literal. Last edited by AliceKaninchenbau; 09-29-2017 at 01:45 PM. If/when some more solid information pops up we'll clarify what it is and everyone can post 'whatever' rumors they had prior to that. I don't know the other rumours... But I have a feeling the poster will showcase Rasielmon and true Ophanimon. I really doubt Ophanimon will appear in the poster of Part 6. I also doubt that she will play an important role. In fact, I think the mega evolution of Tailmon is going to have a similar role to Seraphimon in Part 4.